It's time for another challenge over at Frilly and Funkie. The lovely and talented Nancy is our hostess and she has chosen the theme "LAYER IT UP". 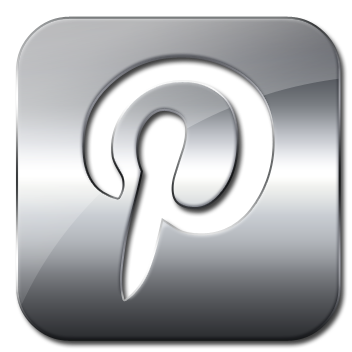 She would like you to create a vintage or shabby chic project that includes multiple layers. 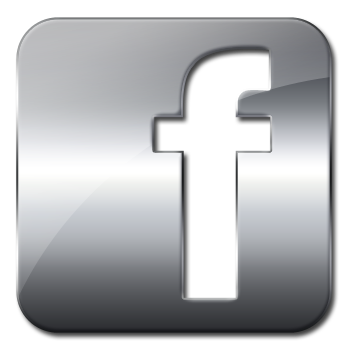 One lucky winner will receive a $25 gift certificate to Linda's shop The Funkie Junkie Boutique! Welcome to day 2 of "Pamellia's Schizophrenic Week of Mojo"!! With Mother's Day just around the corner 'Soft Angel' has taken over. I sell quite a lot of cards for this occasion, so I make a whole bunch of gushy cards with no sentiments. The ones that sell, I add a Mother's Day sentiment, the ones that don't, I can use for birthdays or other such things. OK, here we go, get ready for lots of flowers and pink things! The papers I used are all from Pion Design...a new absolute favourite of mine!! 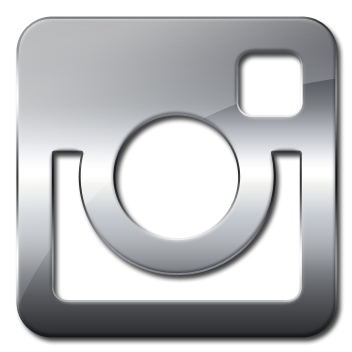 I have used the collections "A Day in May", and "Paris Flea Market". The border I created on the very back layer is stamped using Graphic 45 Time to Flourish using Ranger Archival Potting Soil ink. The beautiful pearl swirls are Prima. The tag was cut using Tim Holtz Tiny Tabs and Tag. 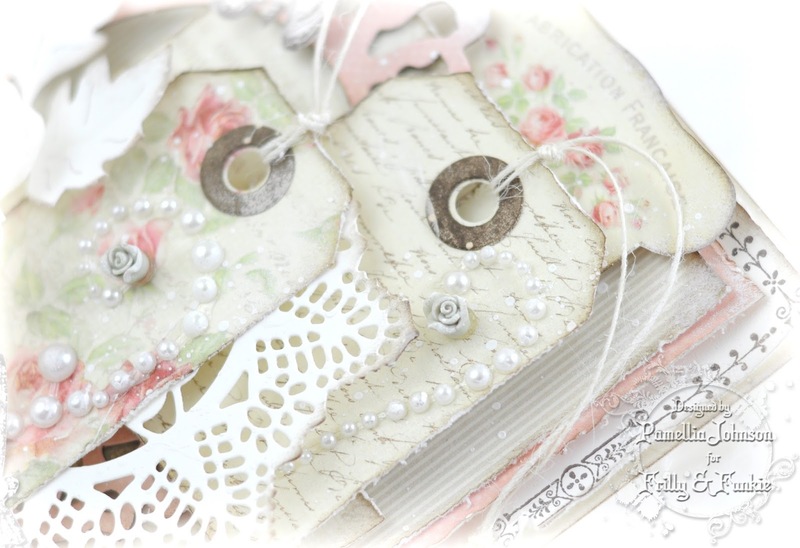 The doily die is from Prima, also another new favourite item of mine at the moment. The large pink frame I cut using Sizzix Ornate Frame die. I glued the paper to a piece of chipboard before cutting it out, to give it extra strength when I added the pop dots. 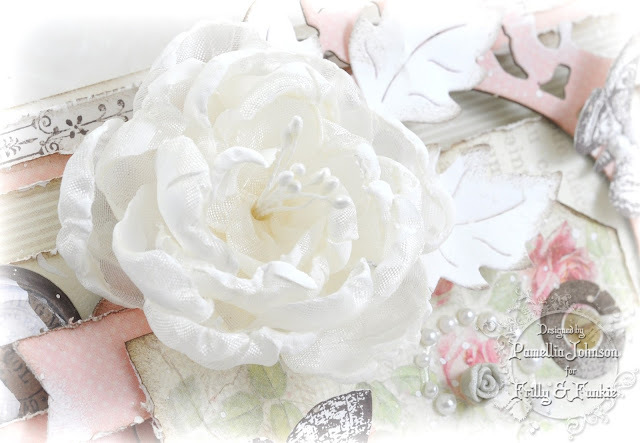 The beautiful flower is made using Silk Crinkle Ribbon from May Arts. I have been working on designing a whole line of ribbon flowers and will eventually be doing video tutorials on all of them. 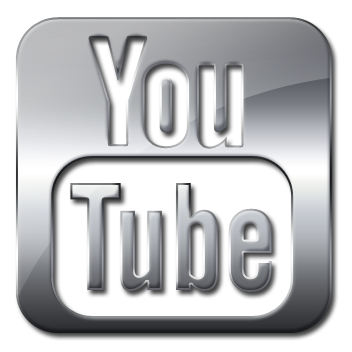 The first tutorial is live on Saturday, so check back for that one. All of the snow is gone...AGAIN, we had this wave of warmth that created amazing foggy mornings. I grabbed a couple of shots from the window. But then the temperature plummeted! but that wasn't good enough for Max, he came right inside and sat on the carpet. I don't blame him! Poor little Dianna was so cold, she came out of her house as soon as the sun hit the balcony, and she just sat there in the sun until the moment the sunshine was gone...then so was she! 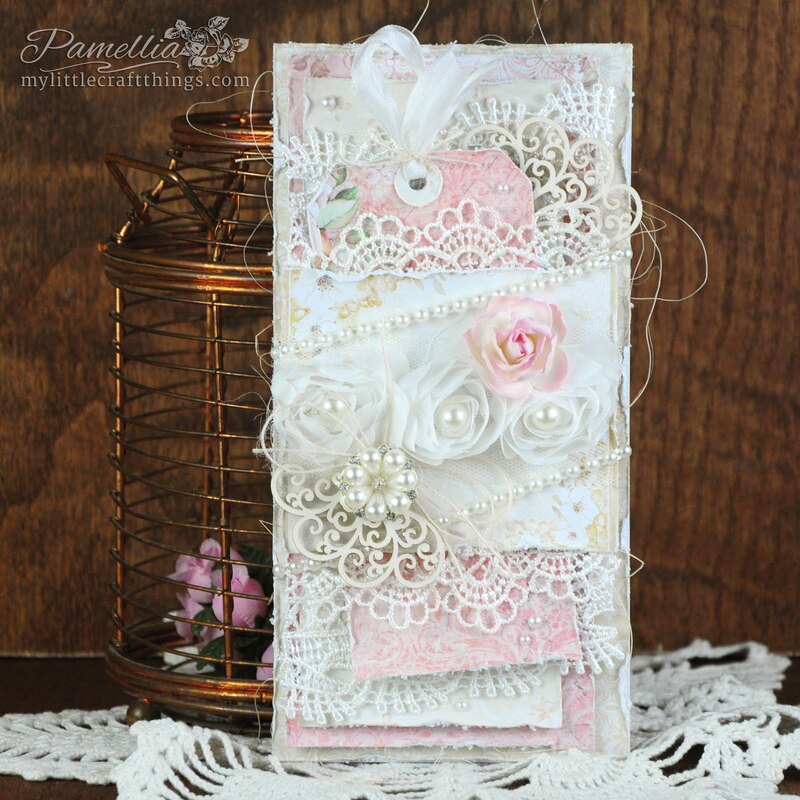 Gorgeous card Pamellia! You have used Pion papers masterfully! Hugs! A wonderful creation Pamellia! Adorable layering art and the photos are so sweet! Love your cute little friends! 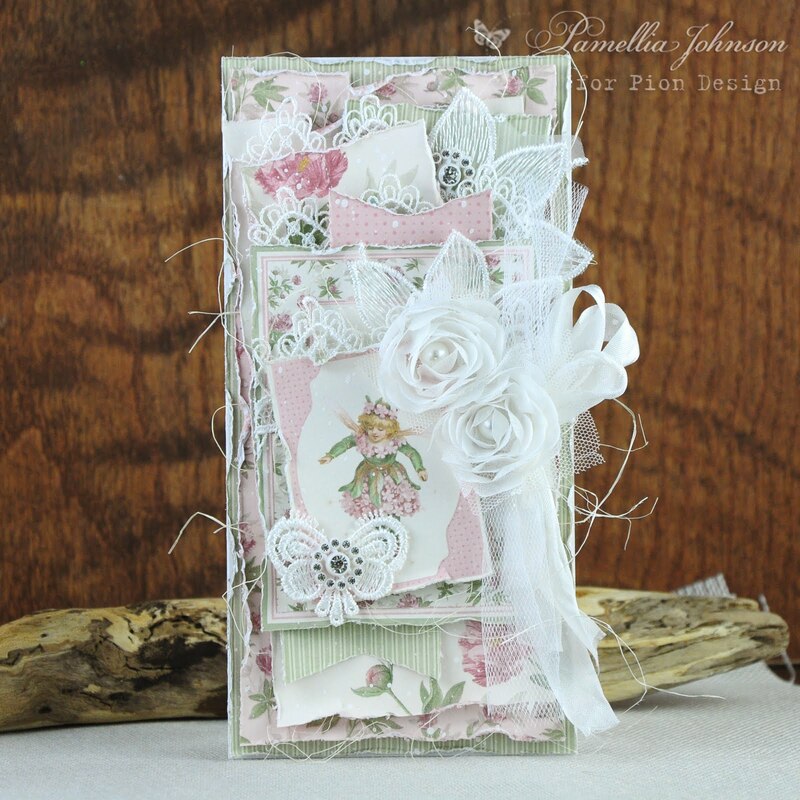 Beautiful layers and so soft and romantic, perfect card for mothersday! 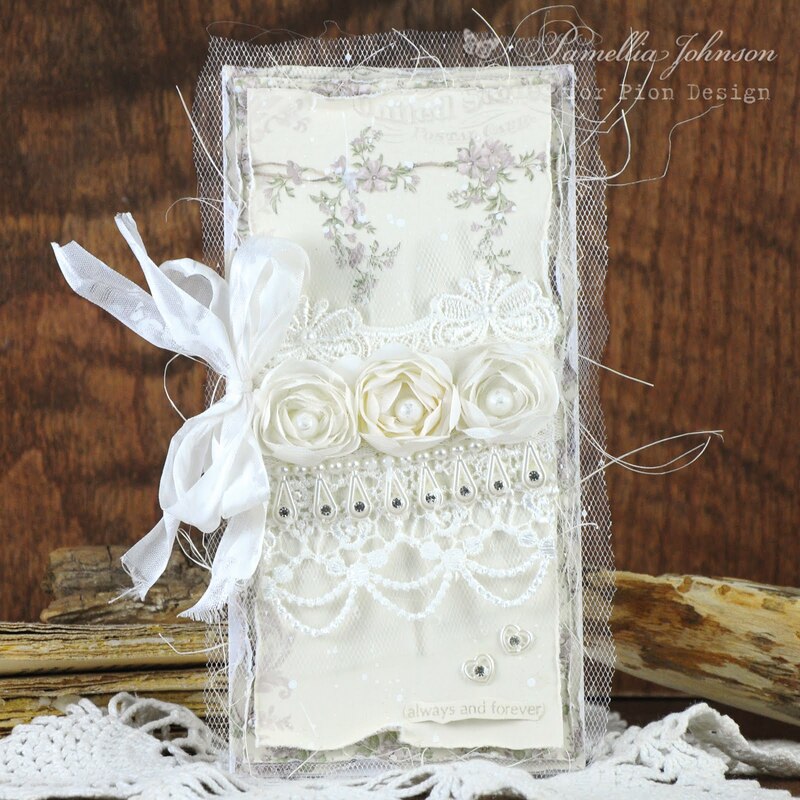 Love that Prima doily! The dies from prima are my favorite too these days! Hugs! Wow - layers and pink - slight understatement Pamellia, as is absolutely gorgeous!! Love your foggy morning photo, and your poor wee squirrels - Max is quite the character, and Dianna is beautiful. As always a super creation Pamellia, you certainly nailed the brief of lots of layers yet still retained that beautifully light and feminine feel. 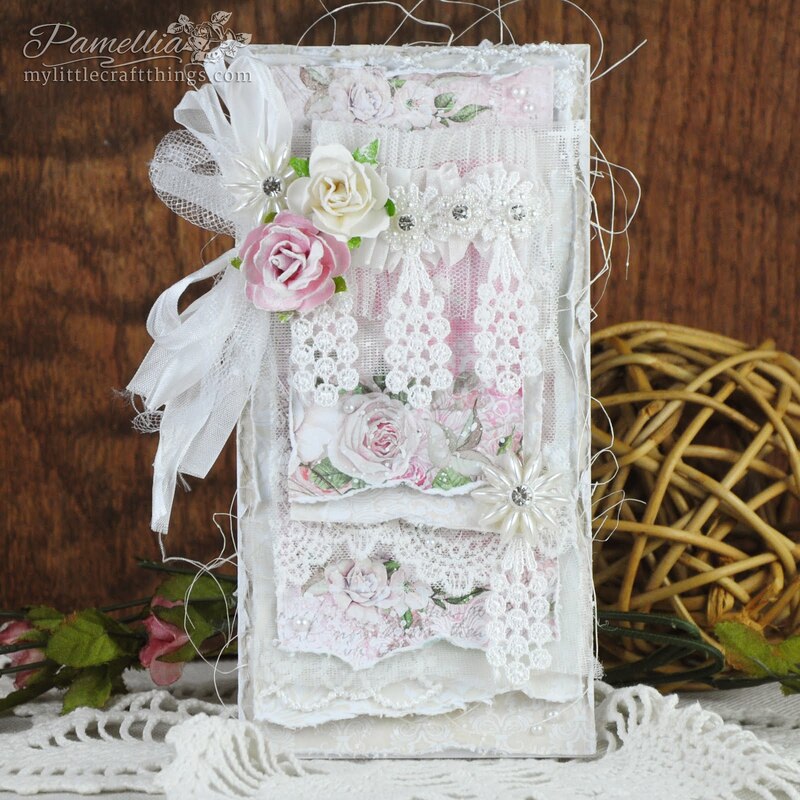 Gorgeous Pamellia , so delicate and absolutely gorgeous is your card , i love it !. Wow! Your card is amazing! I love it!!! Another grogeous creation Pamellia, love the die cut behind the tag. 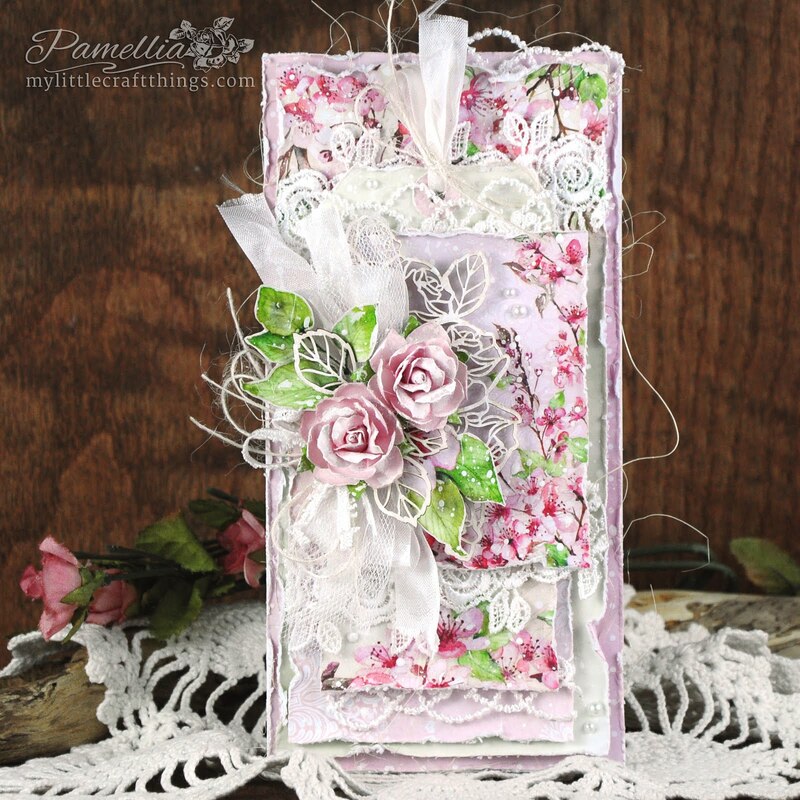 Stunning card and layers will never be a problem for you Pamellia. so pretty colors and details! oh he came inside?? so cute! Your beautiful cards never fail to delight, Pamellia! This is perfect for Mother's Day with the soft pinks, stunning flowers and gorgeous layering! 30 degrees below!! That IS cold! Those squirrels will definitely be moving indoors if it keeps up! You have this brilliant style that just works so well and this card proves it! 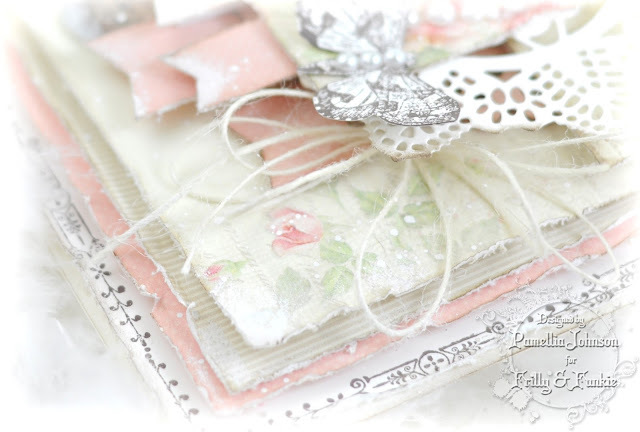 Fabulous shabby chic layers of beauty! As always the soft feminine beauty shines through on your card. Just fabulous card, Pamellia. Amazingly many layerings and lovely elements. You've got really cute friends, love them, too. Oh.....I have run out of superlatives on this one. So soft, so feminine, so like a lovely cloud at sunrise...just perfect in every way. All. Those. Layers! I love the sweet little banner flags peeping out from behind the focal image. I love the stamped border. I love the incredible (!) ribbon flower. Just heavenly, Pamellia. Really, really, really, really gorgeous! Can you tell I like it? 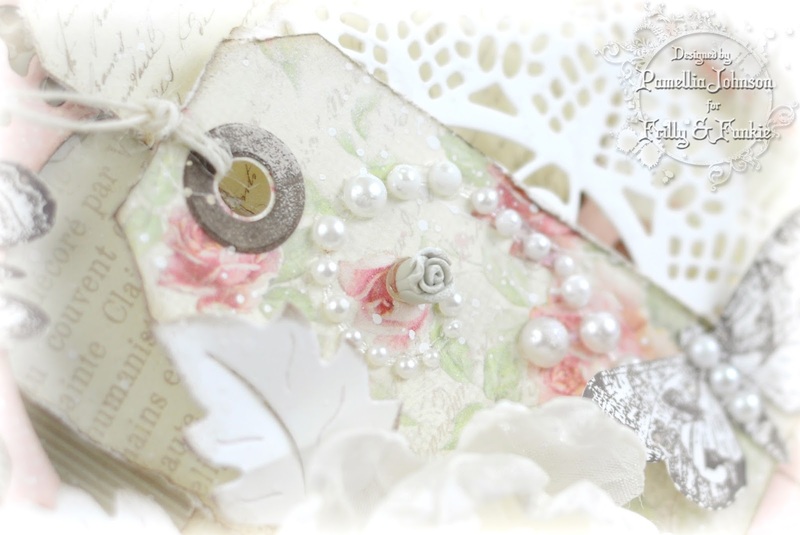 Beautiful Shabby Chic design with such gorgeous layering and added details. I love this soft and romantic card. What a fantastic, beautiful card, Pamellia! Love it! 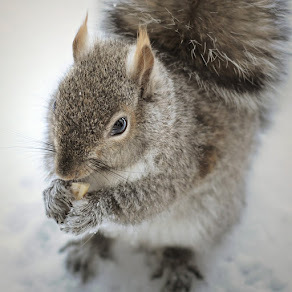 The photos of the squirrels are so sweet! Omg Pamellia! Drop dead gorgeous flower and card! I just love your cards, so soft, lacy and ethereal! This challenge is taylor made for you and you rose to it perfectly... Love this beautiful soft and sumptuous creation! I also love how you always get distinct layers .... Brilliant photos! 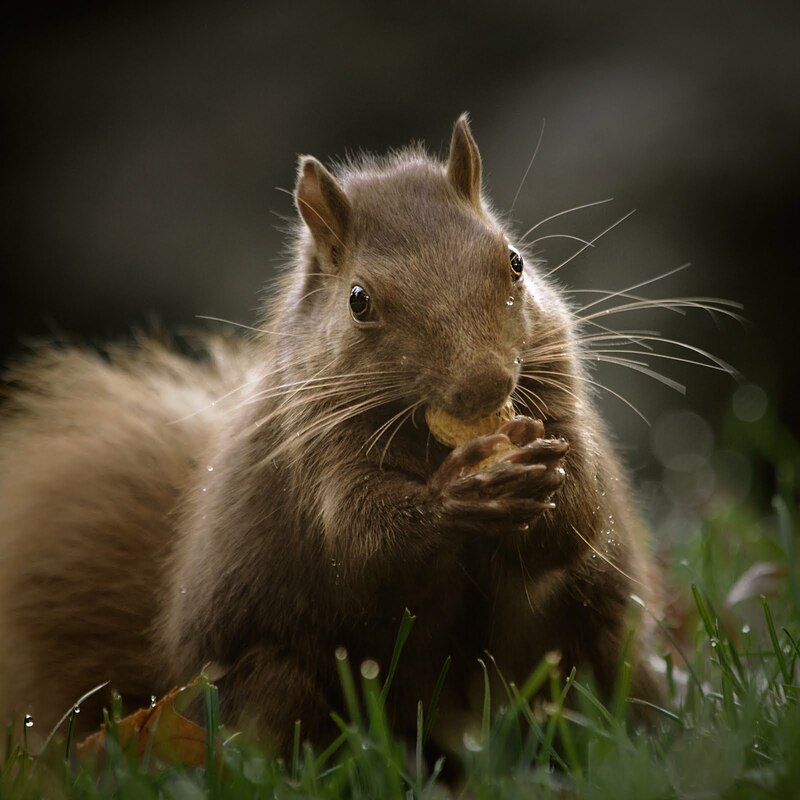 Do your squirrels speak french? You sure did layer it up!!! Love it! Great embellishments, design and color! BRAVO! 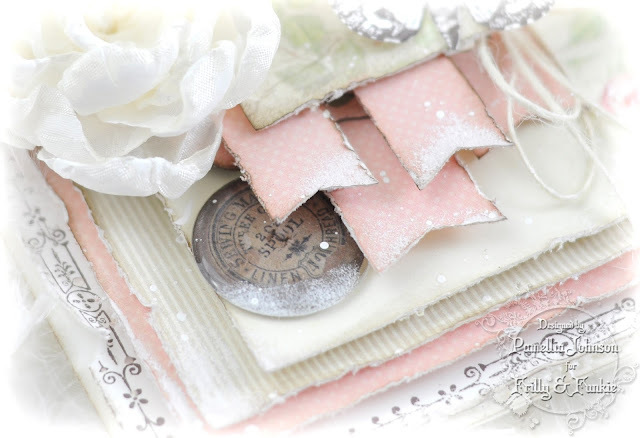 My favorite type of Pamellia card - pink and layers and shabby chic perfection!! Oh, how I love this!! The layers are amazing!! What beautiful papers (I finally took the plunge and used my Pion Paris Flea Market papers for a project next week...they'd been sitting in a drawer for over three months. Yes, I was hoarding them!!) I love the tags and the flower and the butterflies!! This is spectacular my friend!! Beautiful card! Love those soft colors, and seems where your comfort zone lies. But whatever you do, you do it so well! I love all those delicate layers, so carefully placed, and those papers look fabulously feminine! Oh be still my heart! What???? Are you kidding? No one should be subjected to that horrible cold! So happy to see you're bringing your friends inside. Pretty soon they will have their own rooms! Mark my words! Who's eating out of whose hand??? It's always a great day when I visit your blog, my friend! Hugs! 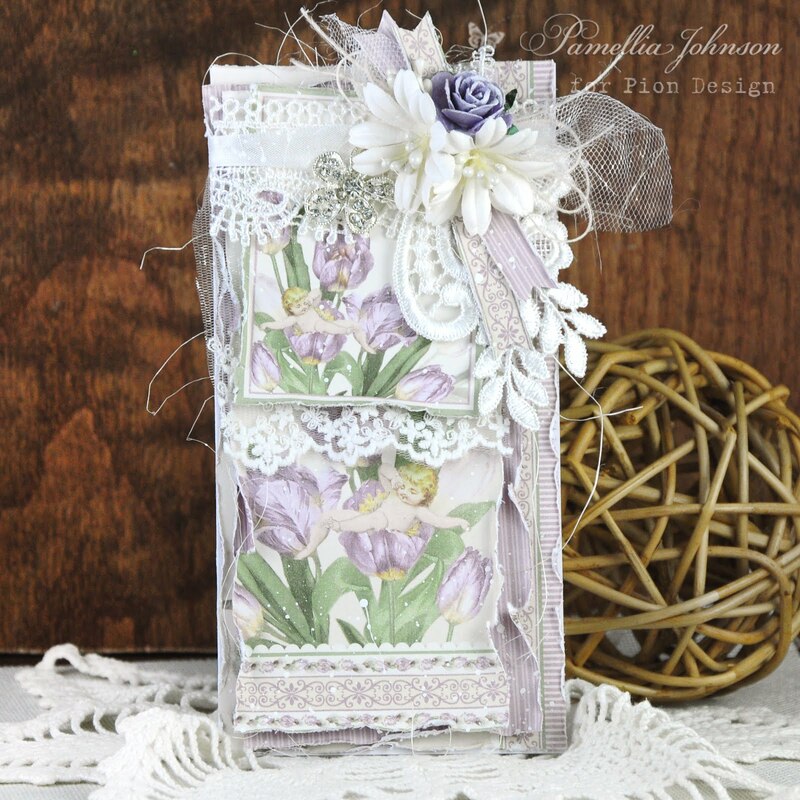 So beautiful Pamellia..Love the soft colours, the tags and butterflies and scrummy flower with all those wonderful layers..GORGEOUS. 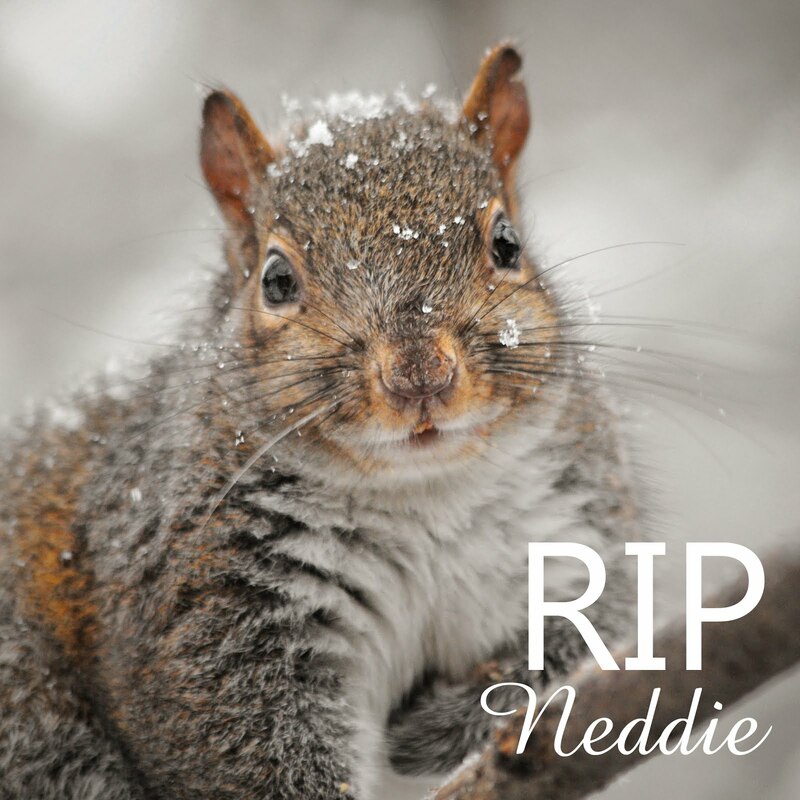 Poor little Squirrels..they are the lucky ones having you to keep an eye on them. Very pretty card - so soft and ethereal. Layers are your forte and you didn't disappoint with this beauty. This is so beautiful Pamellia... 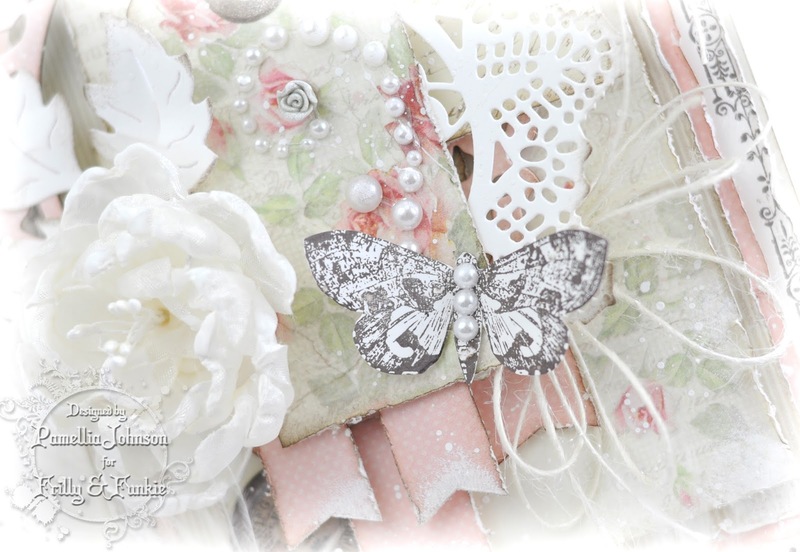 I love the soft colors and the layers of tags, doilies, and butterflies! The flower is gorgeous... can't wait for the tutorial! 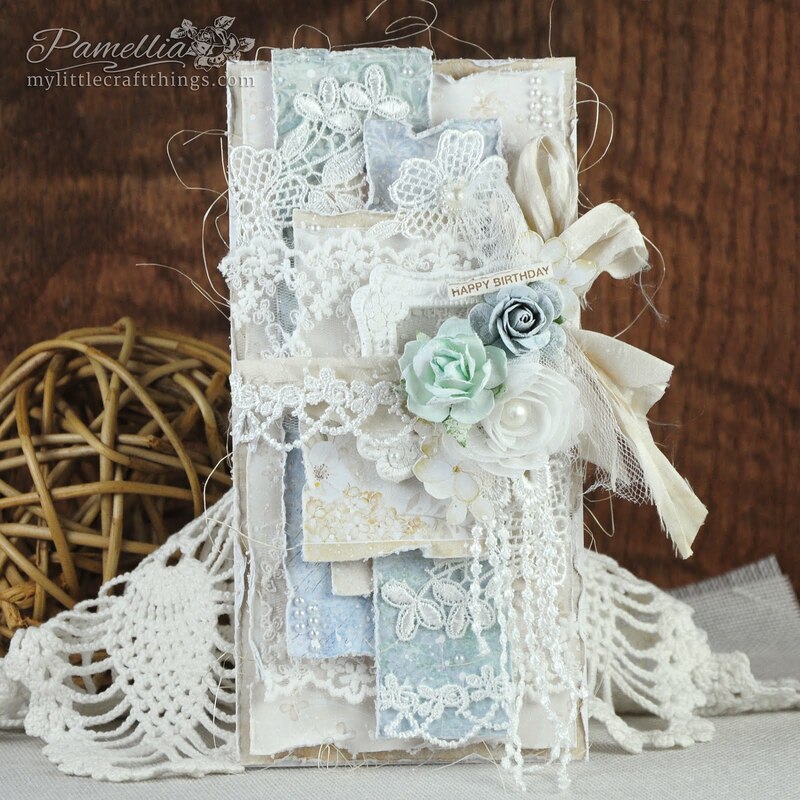 Another beautiful Shabby Chic card Pamellia, such gorgeous layers and fabulous details - a stunning design. 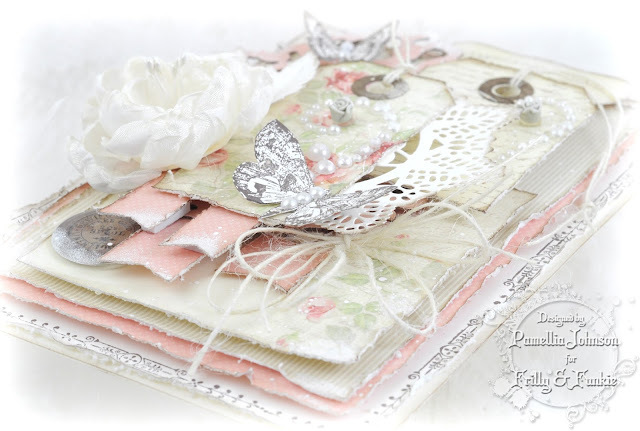 Absolutely stunning card Pamellia, gorgeous layering, colours and those papers wow!!! I would stroke these and never cut up.. beautiful embellishments..
Poor squirrels, that really is cold. A gorgeous card Pamellia, some mums are going to love it if some of your beauties get sent to them. 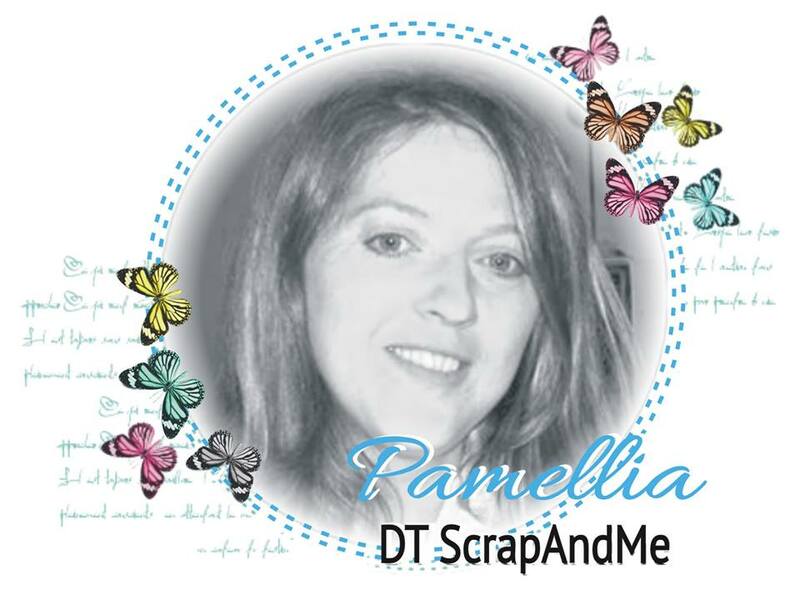 I bet this theme was right up your street Pamellia, and you certainly have done it proud! Beautiful layering with those gorgeous colours, tags and dies, - just beautiful! Hmmm...layer it up...why that's right up your alley :) Love this totally feminine design! The pearls are the perfect touch of bling and the papers are totally gorgeous! Hugs! Another beauty!! 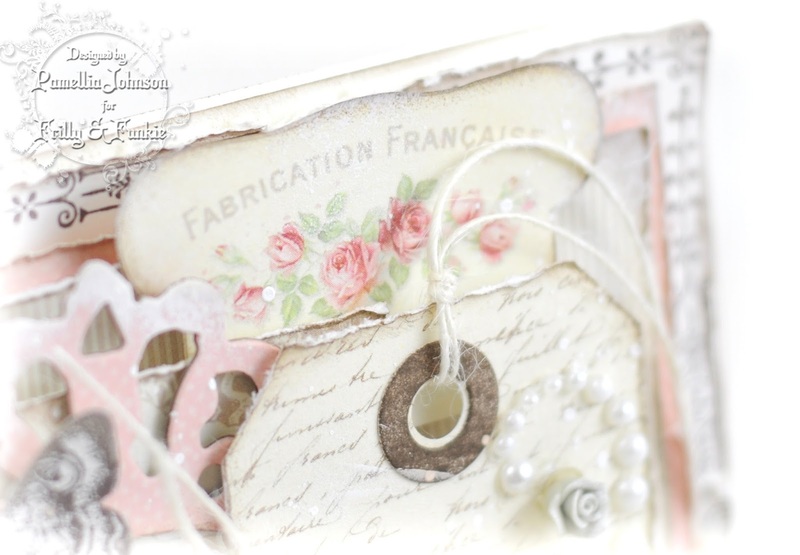 I love all the fun layers packed on this gorgeous card! The colors and papers are fantastic! I have always been a fan of pink~such an delicate design and it couldn't be prettier! I love everything about it!!! Aaaw, your squirrel family is just adorable! They are loving the fact you always come to their rescue! So sweet! Pretty soon they will be crafting with you, hehe! A beautiful card. I love how you add all the layers and fab embellishments. The squirrel sure appreciated your hospitality. Thanks for sharing the details and the sweet pics. So pretty Pamellia! Love all the layers and pearls! So elegant, frilly and funkie! Glorious feminine, soft and delicate beauty! 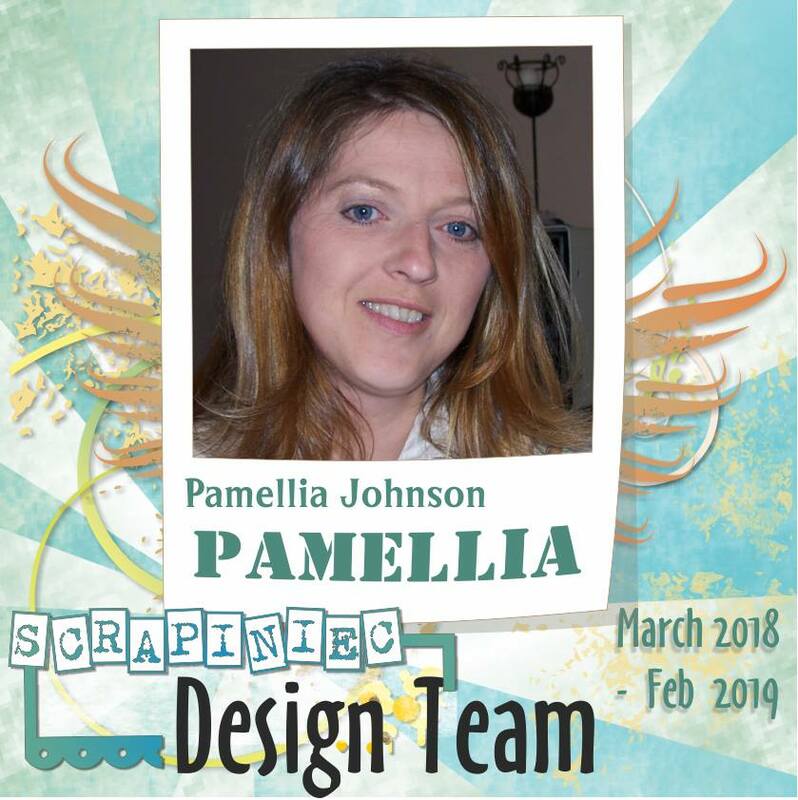 You layered it up brilliantly, Pamellia! Simply stunning! Oh! if only I had this given to me on Mother's Day, it would be framed in a 3D frame and treasured for ever. Everything is so very beautiful. Poor little squirrels, they look so cute and cheeky getting inside. A perfect challenge for you as you layer so perfectly. Gorgeous make! Faboulas Pamellia. 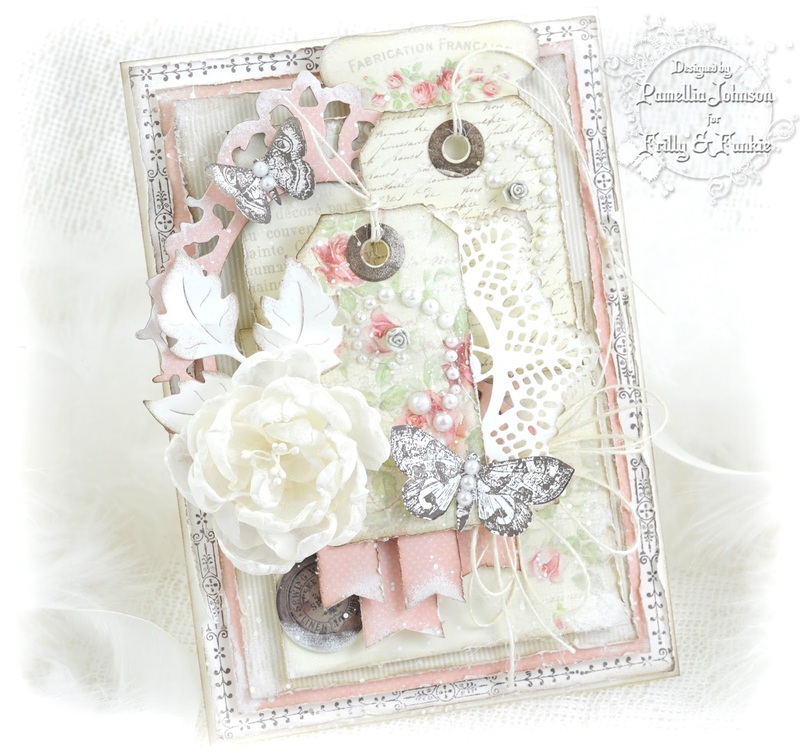 WOW with all your floating layers and soft pinks pallet , Faboulas embellishments and wonderful Handmade flower, looking forward to seeing your tutorial,. Oh my gosh Pamellia you are a genius with the layering up of so many elements, I love this style. Wow so many beautiful layers Pamellia. This is SO pretty Pamellia! I love the layered elements and tattered edges. Thanks for the inspiration. 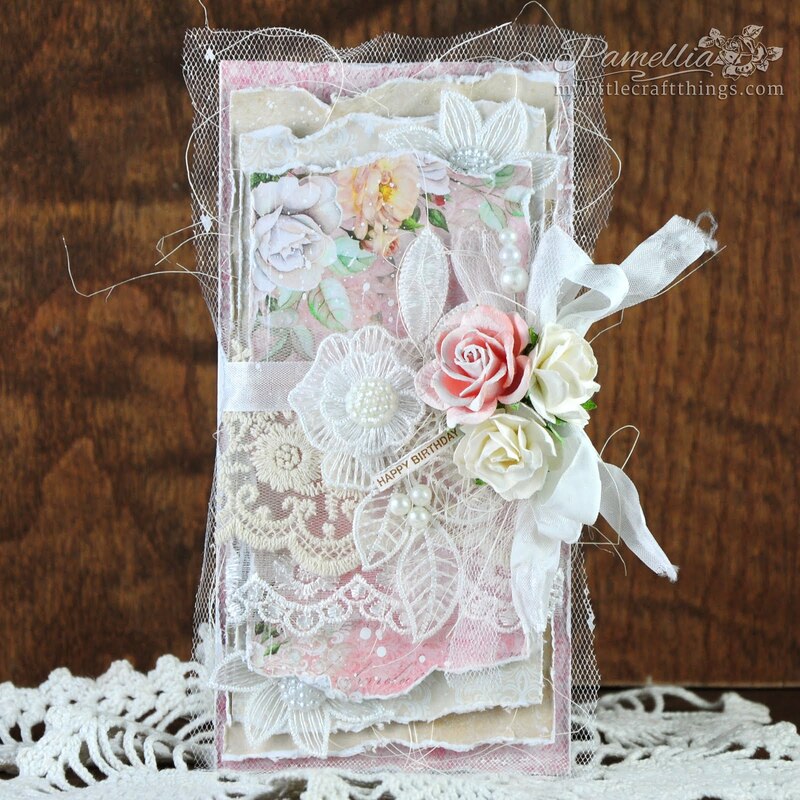 Beautiful card Pamellia, I love the soft colors and the gorgeous papers!! Fantastic photos too! I am blown away by your talent and i m so glad im privelaged enough to see it and comment, your ability and design skills are truly inspirational. well done. So delicate and dainty, just right for a Mothers Day card. 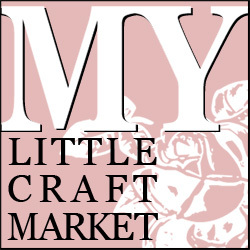 I hope you get what your cards are worth as over here, folk like handmade but sometimes don't like the price tag lol! Look forward to seeing your ribbon flower tutorial. I tried to follow Sue Wilson's (she uses a heat tool) and ended up with singed ribbon lol! I bet you were popular with Hubby and The Girls with the door open at minus 30 just for Max lol! Your card is an absolute delight of pink girlishness Pamellia. 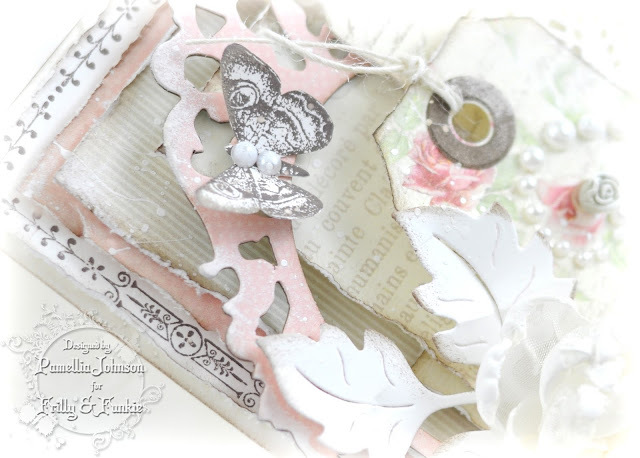 I love the pretty papers, beautiful ribbon flower and wonderfully gorgeous die-cuts peeking out. 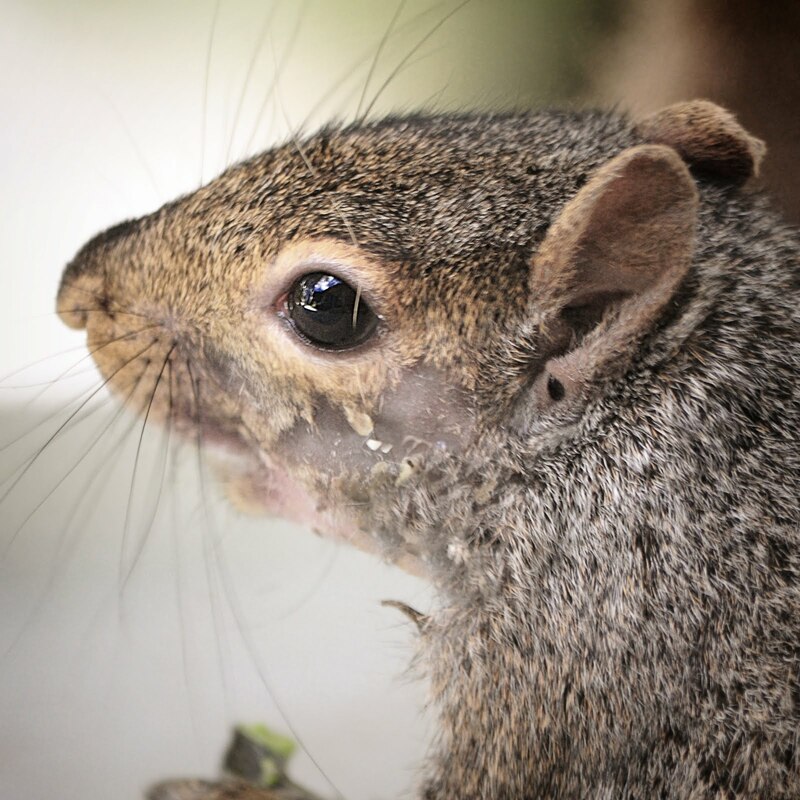 Nature can be so harsh, your poor little squirrels, they are so lucky to have you looking out for them. Wow! All those layers so beautifully put together - stunning! Oh my lovely!!! This is so vintagy, shabby and romantic Pamellia! WOnderful my friend! A beautiful card Pamellia. I love your ribbon flower and the soft colour scheme of the papers is really pretty. Sally.x.